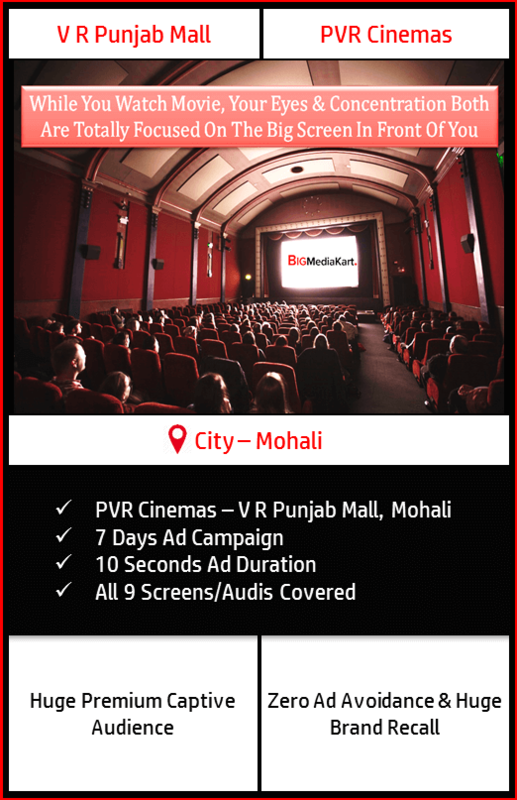 High Visibility & Brand Recall With 10 Seconds Ad, 9 Total Screens, 7 Days Ad campaign. Minimum 3 slide rotations of 10 seconds each would be played per screen per day in the interval time or before the movie starts for a total campaign duration of 7 days = 1 Week in PVR Cinemas, V R Punjab Mall, Mohali. 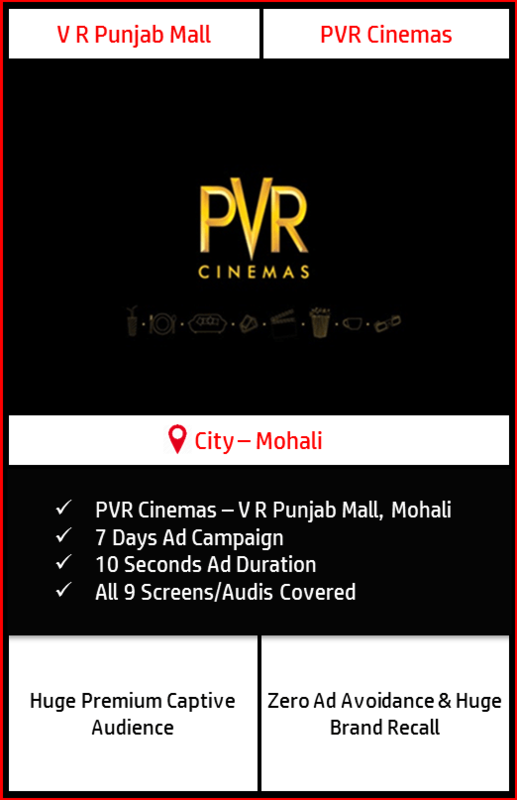 There are total 9 Screens in PVR Cinemas, V R Punjab Mall, Mohali which ensures that minimum 27 rotations would run per day. Generally higher inventory ensures an average 42 rotations per day while lower inventory (usually in the case of a blockbuster movie) ensures an average 32 rotations per day in all 9 screens combined. The client’s ad is required in Digital J2K Format for PVR Cinemas, V R Punjab Mall, Mohali & has to be converted into this format if not done already. In case the ad needs to be converted, client has to give a link of MP4 Ad which BMK would convert into the cinema compatible format one time absolutely free.